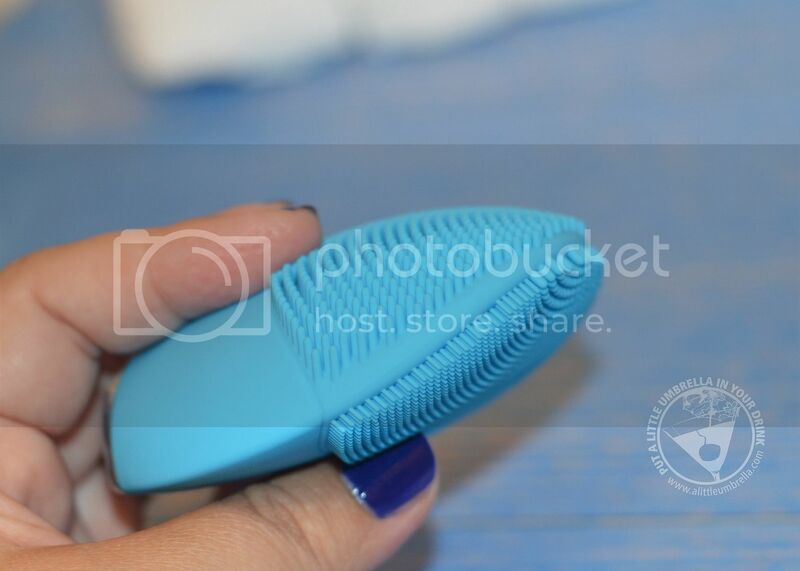 This blue beauty is a limited edition turquoise LUNA mini 2 facial cleansing brush. 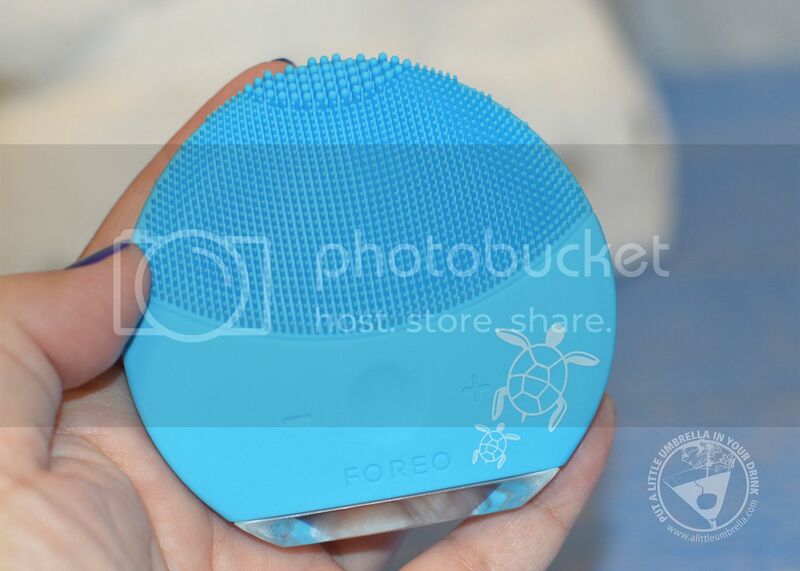 When you purchase one of these from now through August 31, FOREO will donate 100% of the net proceeds to GreenWave and SEA LIFE Trust who are dedicated to conserving our oceans and protecting our marine life. 100% net proceeds from Save the Sea special edition products will go towards environmental conservation. I absolutely love this cause and the LUNA mini 2. Do you see the adorable turtles on this device? So what is the LUNA mini 2? This innovative skincare device delivers deep-cleansing via T-Sonic technology. The T-Sonic pulsations remove 99.5% of dirt and oil for a clear and even-looking complexion. The LUNA mini 2 is now a part of my regular skincare routine. It is so easy to use and I love the results. My skincare works better when my face is truly clean. It feels great when you use it and really makes a difference in your cleansing. Your face is just cleaner and who doesn’t want that?! This is the side view of the LUNA mini 2. You can see all of those soft silicone "fingers" ready to remove dirt and oil. Now add T-Sonic vibrations. You can see how this would be a cleaning wizard, and it is. Not to mention that it feels so good on your skin! The LUNA mini 2 electric facial brush eliminates blemish-causing impurities while remaining extremely gentle on the skin. All it takes is one minute twice a day for a fresh, clear and even-looking complexion. I had the chance of a lifetime this summer. I got to kiss, hug, and dance with a dolphin. It was one of the coolest experiences of my life. I loved dolphins before the encounter, but after getting so close and personal with them, it has really changed my perspective on sea life in general. 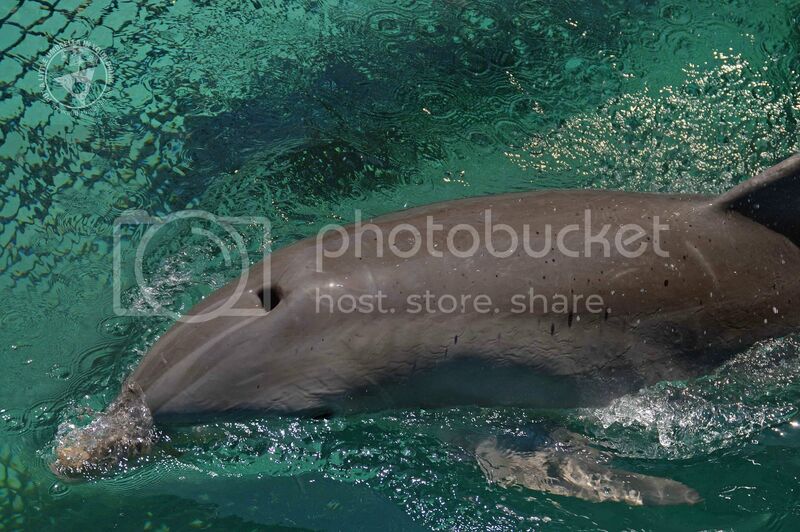 If something would happen to that dolphin, or any dolphin, it would make me so sad. It breaks my heart to think of what some of our sea life has to deal with. So sea life conservation is very personal to me, and I love this collaboration. Are you ready to Save the Sea? This campaign will help build restorative ocean farms and sponsor endangered sea turtle rehabilitation and research. 100% net proceeds from the sale of this LUNA mini 2 Save the Sea Special Edition goes to FOREO's charity partners GreenWave and SEA LIFE Trust. GreenWave creates sustainable and restorative ocean farming solutions, called 3D ocean farms. The SEA LIFE Trust is a registered charity dedicated to the conservation of ocean animals and the environment. Together, we can all make a difference to Save the Sea! 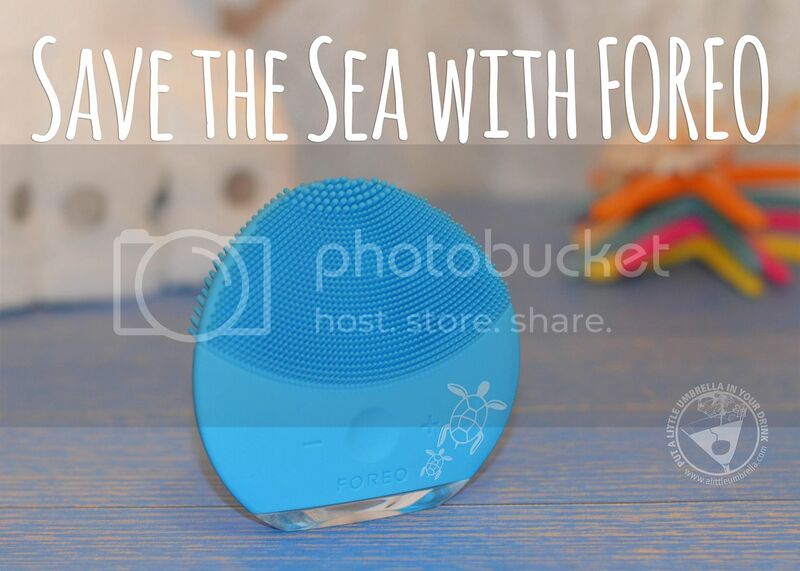 Connect :: Visit foreo.com to learn more about the Save the Sea partnership. You can also find FOREO on Facebook, Twitter, and Instagram. Buy It :: You can purchase the LUNA mini 2 for $139.